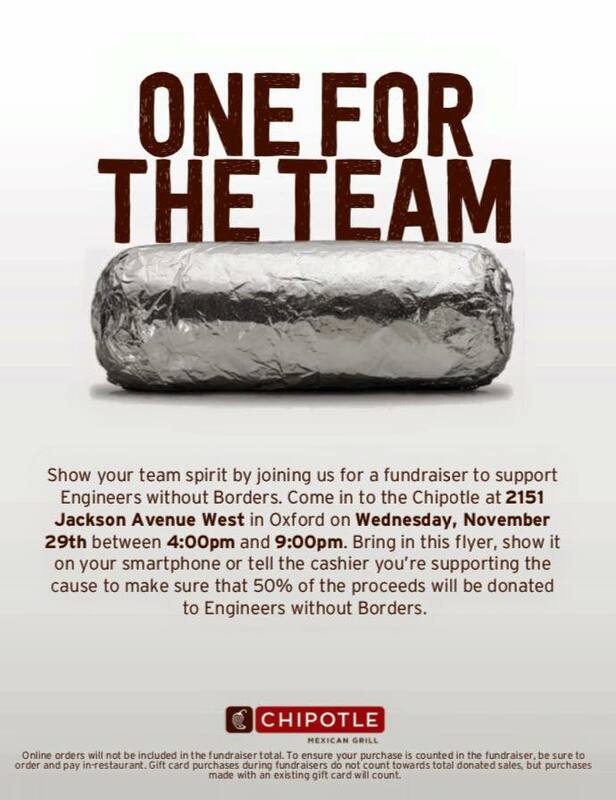 We partnered up with Oxford’s Chipotle to host a percentage night fundraiser from 4-9 PM. Over the course of the evening, we raised over $850, which is an enormous win in our books. We would like to thank Oxford Chipotle for the incredible opportunity and we also owe a “thank you” to everyone that came out to support us! Four of our members made a weekend trip to Springfield, IL to make a visit to one of our partner organizations: Hospital Sisters Mission Outreach. 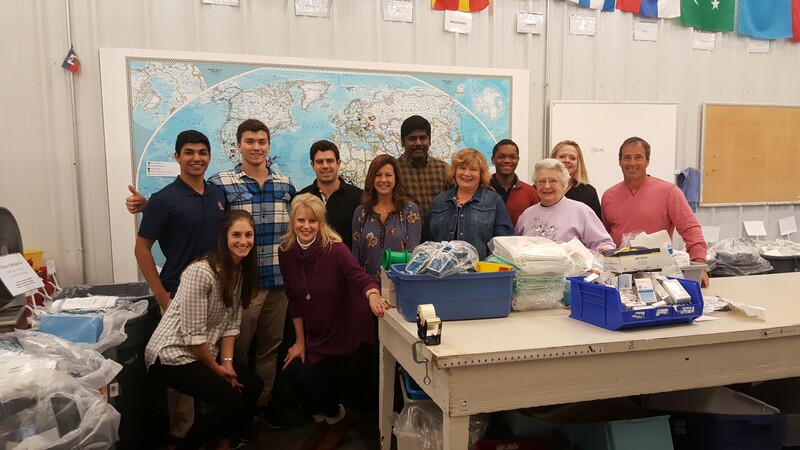 This amazing group is responsible for sending two 40 ft. shipping containers full of donated medical supplies to a newly constructed children’s hospital in Togo, Africa. Our group toured their facility and visited with the White family, Ole Miss alumni who work closely with Mission Outreach. For more information on this incredible organization, visit Hospital Sisters Mission Outreach. 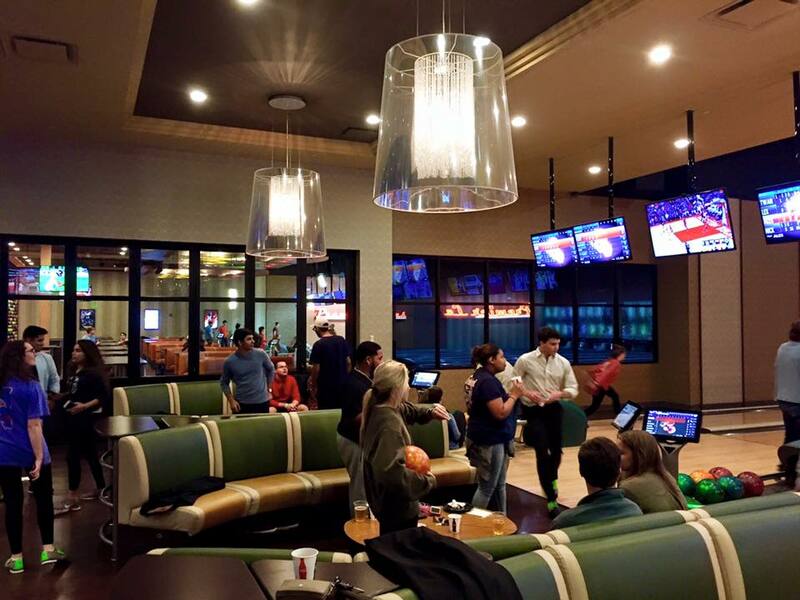 We hosted a Members’ Bowling Night at Oxford’s Premier Lanes bowling alley from 7-9 PM. We all had a great time hanging out and enjoying some pizza and bowling. Over 30 of our membrs showed up and no one wanted to leave until we absolutely had to! A great overall experience to bond with some of the members we don’t get to see every day and some new friendships were in the making! 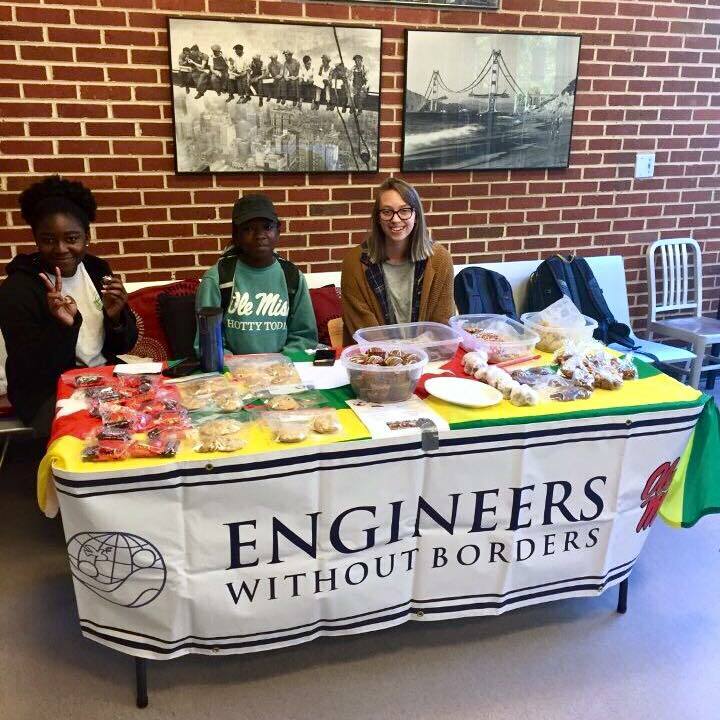 Throughout the week of October 30th to November 3rd, our members came out to raise funds for our projects in a bake sale. Over the course of the time spent, we raised over $350! 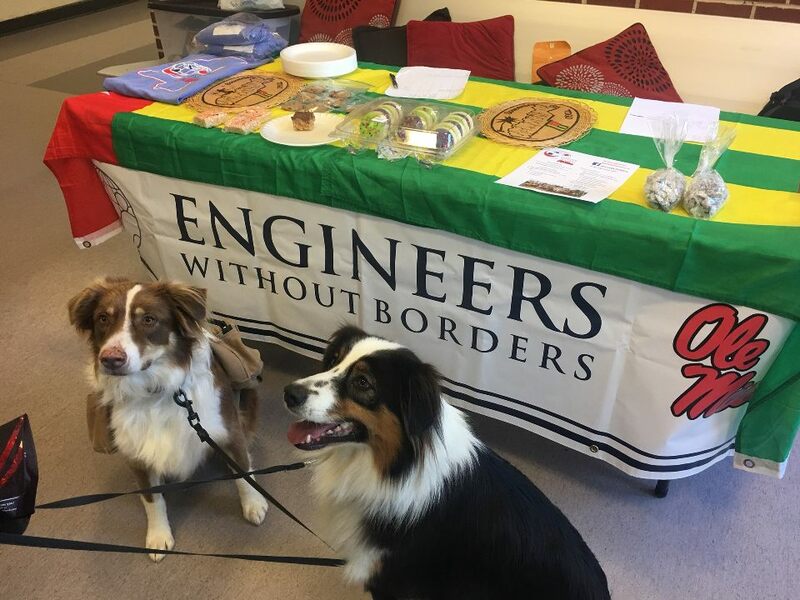 Even members’ dogs made their way out to enjoy some delicious baked goods. 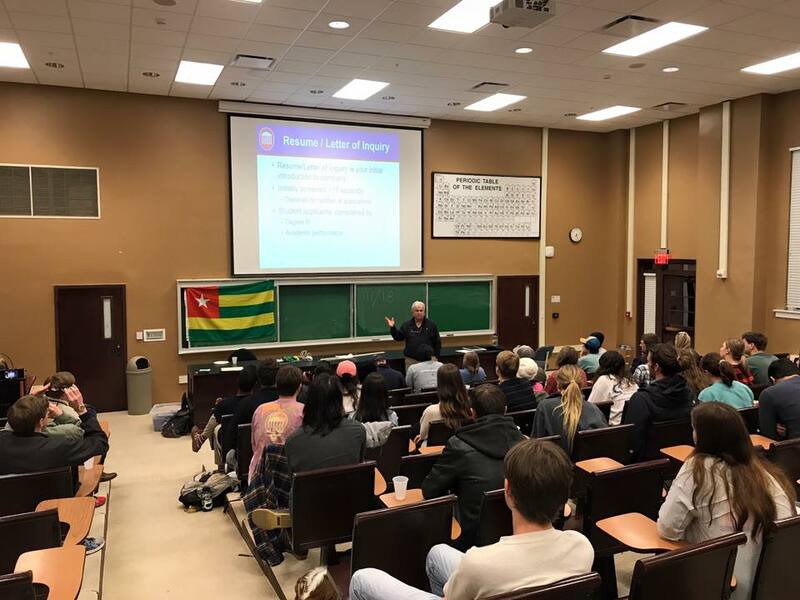 Exxon-Mobil Recruiter, David Carroll, came to speak at our meeting to tell members about how to ace an interview, as well as what exactly recruiters look for in potential employee candidates. We had a great turnout at this meeting as our members loved what Mr. Carroll had to say! A huge thank you to David for his great advice and for taking the time out of his schedule to come speak to us! MILWAUKEE, WI — Five Ole Miss Engineers Without Borders (EWB) students attended the 2017 National EWB-USA Conference. The conference, held October 5-7, brought together a diverse array of experts, professionals and students to network, exchange ideas and develop solutions to the world’s most pressing infrastructure challenges. The Ole Miss team consisted of David Thomas (Chapter President), Manny Dhaliwal (Treasurer), Jay Rao (Student Outreach Chair), and design committee members Olivia Wagg and Makena Tisor. In order to maximize the benefits of the conference, the team laid out goals ahead of time, aiming to absorb as much useful EWB information as possible and to make as many connections as possible. The conference attendees split up every day and attended various information sessions on topics ranging from “Successful Chapter Operations & Recruitment” to “Solar Electricity Basics.” During breaks and receptions, they were able to network with students and advisors from other schools and learn from the personal experiences of other chapters. 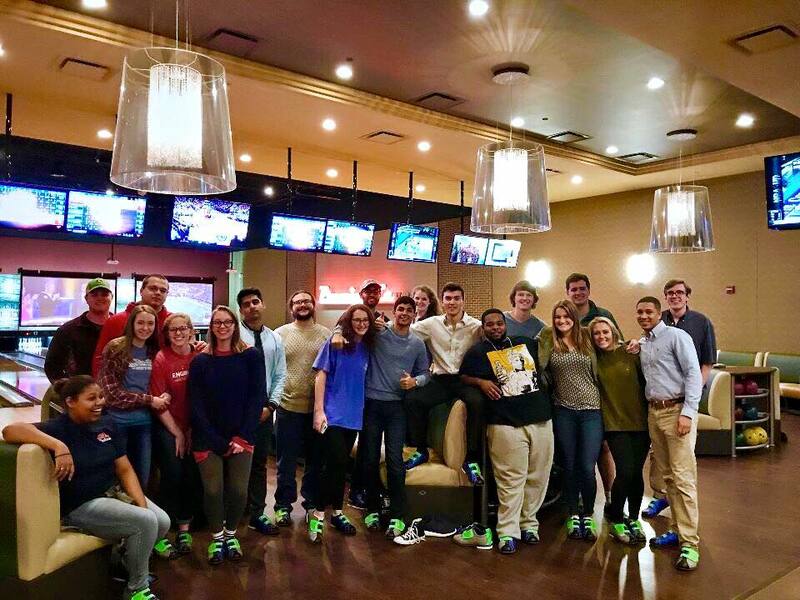 In order to facilitate connections and information sharing, the Ole Miss team came up with the idea to collect contact information from all of the student chapters present and connect everyone in a GroupMe. The GroupMe has already proven to be a useful and productive means for communicating advice and information. The team is looking forward to applying the many conference lessons learned as EWB Ole Miss continues a vigorous bolstering and sustainment campaign. “EWB is up to big things,” said Manny Dhaliwal. In addition to their ten years of humanitarian infrastructure work in Togo, Africa, the chapter is looking to select both a new international and domestic project by 2018. To stay up to date with EWB Ole Miss, follow us on Facebook, Twitter, and Instagram. To donate, click here.